Sponsored by ACM SIGGRAPH, GRAPHITE 2007 is the 5th International Conference on Computer Graphics and Interactive Techniques in Australasia and Southeast Asia, an annual event conducted in the Australasia-South East Asia region. GRAPHITE 2007 will provide a unique atmosphere for researchers, technologists, artists, industry professionals, educators and students to mingle while taking in the latest technical and artistic accomplishments from around the globe. See You at SIGGRAPH Asia 2008! 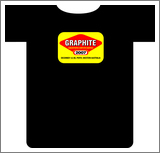 Thanks to everyone for making GRAPHITE 2007 the success it was! We look forward to seeing you all at SIGGRAPH Asia 2008 in Singapore. Congratulations to Derek Nowrouzezahrai of the University of Toronto who won the best Student paper award for "Eigentransport for Efficient and Accurate All-Frequency Relighting". Thanks to NVIDIA for providing the prize, a GeForce 8800 Ultra. Use Google maps satellite imagery or a PDF map (768K) to locate GRAPHITE 2007 venues at the University of Western Australia. Registration at Hackett Cafe is marked with a red indicator on the Google map. Course venues are marked in light blue. Conference session venues are marked in green. See the courses page for details of the final courses program. You can now reserve course places in advance. Book early! Places are limited and will be allocated on a first come first served basis. The advance papers program is now available. Please note that the program is provisional and subject to change. We've added photos of the conference venue and its setting to the website. There are also some shots of Cottesloe, one of Perth's best-known beaches (and only 15 minutes' drive from the conference venue). Further down the same page you'll find a video guide to Perth and another popular West Australian destination, Margaret River. Poster presenters have until October 15 to submit a one page proposal detailing the work their poster will describe. Follow the instructions in the call for posters in the submissions section of the website. The e-Cinema program will showcase material that demonstrates innovative computer animation or image processing techniques or that explains technical details of research development. It will include material of scientific, artistic, entertainment and cultural value. The fulldome showreel will be exhibited at GRAPHITE 2007 on one of the highest quality digital domes in Australia at Horizon - the Planetarium. The fulldome program will incorporate material from a broad range of disciplines, including scientific visualizations, animated shorts, show trailers, works-in-progress, student art projects and experimental works. e-Cinema and fulldome showreel submissions are open until the 31st of October. Professor Jeffrey Shaw has been a pioneering international figure in new media and interactive art over the last thirty years, setting benchmarks for the use of interactive digital media in virtual, augmented and hybrid reality, immersive visualization environments, navigable cinematic systems, and interactive interface design. Professor Shaw’s keynote "Immersive Visualisation and Interactive Narrative" will be given with Ms. Sarah Kenderdine (Head of Special Projects at Museum Victoria), and will examine development of new types of immersive visualisation and interactive narrative systems, in particular for Cultural Heritage applications. The GRAPHITE 2007 conference poster is now available for download.